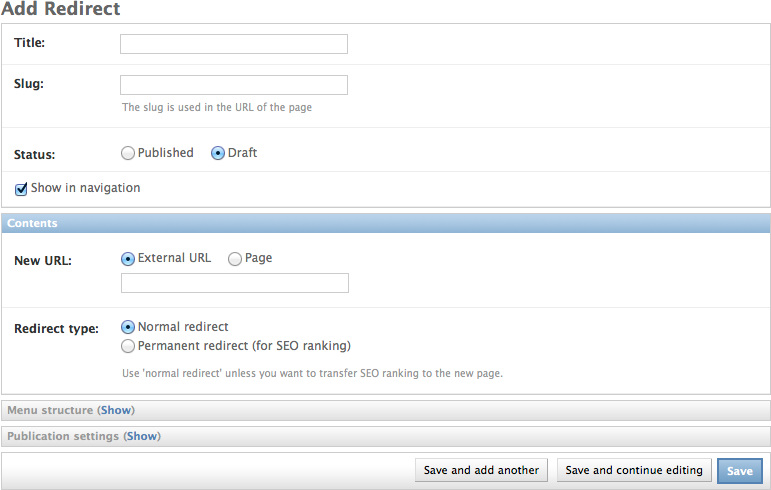 The redirectnode allows adding a URL path that redirects the website visitor. This installs the django-any-urlfield package. This page type works out of the box. See the any_urlfield.models documentation for details.